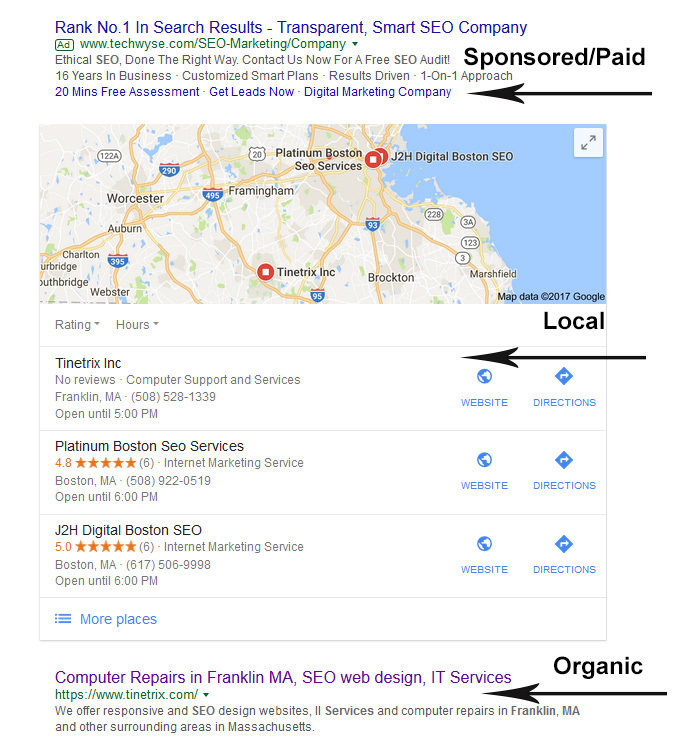 A search engine result page (SERP) is comprised of the three types of results: Sponsored/Paid, Local, and Organic. We concentrate on organic search engine optimization. Our SEO personalized strategy includes a rigorous website analysis to evaluate site content, layout and linking structure and also a SEO technical review to determine SEO factors to implement. Ranking at the top of the search results will drive more traffic to your site and conversions.